does anyone have any recommendations on other brand figures that scale well with Bandai HG? im loooking for a shenron that will scale well, any ideas? i was thinking the ichiban kuji, because the ichiban kuji vegeta oozaru i have scales perfect, but im not sure how much bigger shenron is than oozaru in the anime. are the figures the same size? also have some hachette figures on the way (kami, general blue, ect ) i know those scale well ....i want the toryama bot, if anyone can get it let me know!! id like a garlic jr, are there any that scale well? i just want a bunch of odd characters that arent available in hachette/bandai hg/ and banpresto keychains. any recommendations and pics welcome! does anyone know how well the museum collection cell and time machine scale with HG? The ichiban kuji Shenron is the best looking Shenron. There's a bootleg of it that is cheaper, but it smells weird, which may bother you--it bothers me. I wrote a guide on how to identify the bootleg from the legit one in the bootleg section. You already mentioned everything I was going to mention. Hachette and the keychains are about all there is, but the variety is huge. There's also a guy in Thailand who makes custom ones that he sells. He made characters such as Android 14 who HG did not make. That's awesome! I've been looking for an android 14. I have all the other ones (including android 8 from hatchette on the way) I'm gonna try to get one of those! he made a super form garlic jr too looks so sick! Branjita i thought i remembered seeing you post about a regular garlic jr that scaled well with HG but i cant find that post. do you remember which one it was? 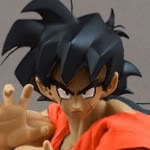 this guy is awesome, he made a king yemma, supreme kai, kibito kai and an eis shenron too. thats all i can see from facebook, i wonder how many others he has made! how do the museum collection king piccolo and cell time machine scale with hg? 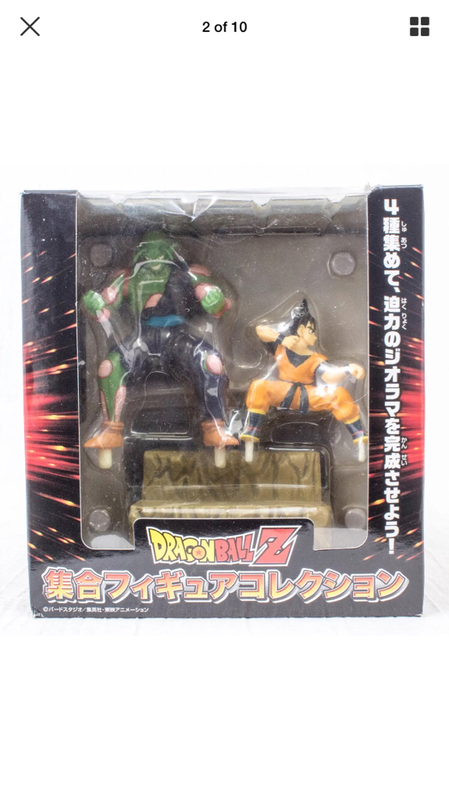 king piccolo and pirate robot are on my to get list now! gp would you be interested in buying my wcf Frieza space ship? I don't really have a place for it in my collection. I have the freezas force one, but I'm gonna see if I can find comparison photos, how much do you want? From leg to leg it is 7 inches wide. The ship portion without legs included is about 6 inches wide, but is hard to measure since it is rounded. And it's 3 inches tall. I have the box and the ship is in mint condition and the box is near mint too. I bought it at Barnes & Noble for $28 plus tax according to the sticker on the box, but I am a member, so I definitely got 10% off. It looks like the cheapest one on ebay that's definitely legit is $29 and free shipping from Japan. Do you live in the US? If so, I could maybe match that price. I just don't really have a place to put it that makes sense. I kind of have buyer's remorse because I don't even collect the vehicles. I don't see any pics comparing the Frieza's Force one with it. and does barnes n nobles always have dbz stuff? i may have to take a ride to my local one. i never see dbz stuff in stores besides spencers, hot topic, mayyyybe target sometimes and thats about it. Cool. Some of the B&Ns have DBZ stuff and others have nothing but DBZ books. One of the 2 within driving distance of me has Figuarts figures near the manga/graphic novels and then has some DBZ WCF, Dramatic Showcase, DXF, and Figure Collection figures near the model kits and other more expensive toys. It's hit or miss. The other B&N near me has absolutely no DBZ other than books. can anyone tell me the best piccolo to use as a super namek piccolo in an hg collection? ive seen the movie collection one used before, and the outfit and stance and everything is good, i just hate that face lol are there any others? So I found this one and I decided to go with it. 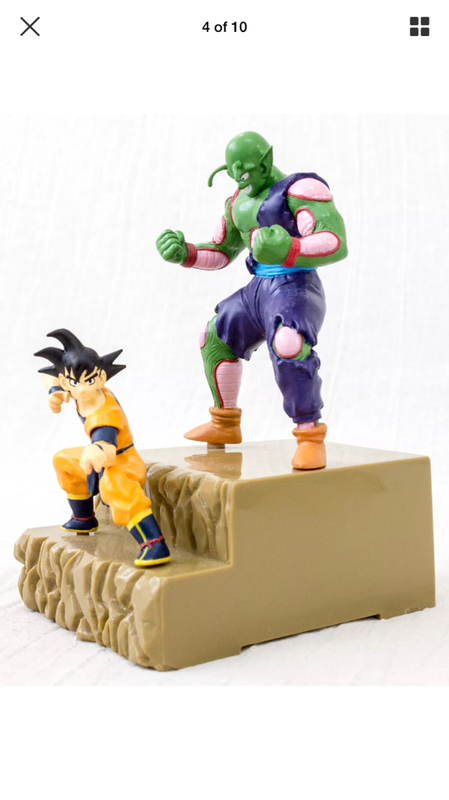 I just can't justify the horrible face on the movie collection piccolo. This one is about 3 inches shorter but I like this soooo much better!